Derwentwater - Popular and picturesque lake in the English Lake District . Derwent Water lies to the south-east of Keswick. Derwentwater Lake is a popular destination for holiday makers, and has It has four National trust owned islands, and can be explored on foot around the lake shore or on one of the many boat trips on offer. The area around Derwentwater provides a good range of camping and caravan sites as well as a great selection of attractions and things to do. Check out the key information on the right and then explore the Derwentwater camping and caravanning sites listed below. Borrowdale Campsite, Borrowdale Road, near Rosthwaite, Cumbria. 017687 77602. Hollows Farm Grange, Borrowdale, Keswick, Cumbria. 017687 77298. Low Manesty Caravan Club Site, Borrowdale,Cumbria. 01768 777275. 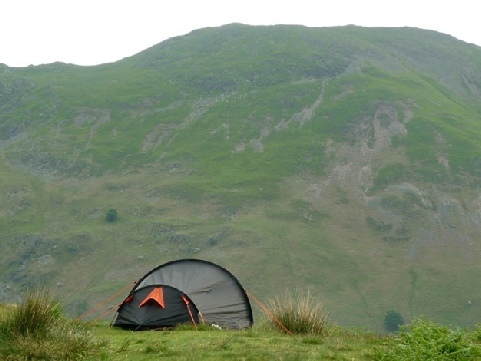 Seathwaite Campsite & Camping Barn, Borrowdale,Cumbria. 017687 77394. Seatoller Campsite, Honister Pass, Borrowdale, Cumbria. 017687 77232. Stonethwaite Campsite, Stonethwaite, Borrowdale Valley, Cumbria. 017687 77234. Youdale Knot Holiday Caravan, Borrowdale,Cumbria. 017687 77216. Bridge End Farm, Keswick,Cumbria. 01768 772166. Burns Farm , St John's in the Vale, Threlkeld, nr Keswick, Cumbria. 017687 79112. Camping Club Site, Crow Park Road, Keswick,Cumbria. 017687 72579. Castlerigg Farm, Castlerigg, Keswick, Cumbria. 017687 72479. Dale Bottom Farm, St John's in the Vale nr Keswick, Cumbria. 01768 772176. Derwentwater Caravan Park, Keswick,Cumbria. 01768 772579. Keswick Camping & Caravanning Club Site, Keswick,Cumbria. 01768 772392. Lakeside Holiday Park (Norman Garner Ltd), Keswick,Cumbria. 01768 772878. Lane Foot Camp Site, Keswick,Cumbria. 01768 778315. Scotgate Holiday Park, Braithwaite Village, Keswick, Cumbria. 017687 78343. Setmabanning Farm, St John's in the Vale nr Keswick, Cumbria. 017687 79229. The Burnside Caravan Park, Keswick,Cumbria. 01768 772950. Thirlspot Farm, Thirlspot, Thirlmere, Cumbria. 01768 772551. Troutbeck Caravan Club Site, Troutbeck, Keswick, Cumbria. 01768 483521. Walker Park Caravan Club Site, Keswick,Cumbria. 07771 861929. Greenhowe Caravan Park, Ambleside,Cumbria. 015394 37231. Low Wray National Trust Campsite, Low Wray, Near Ambleside, Cumbria. 015394 32039. Skelwith Fold Caravan Park, Skelwith Fold, Ambleside, Cumbria. 015394 32277. Attractions: Derwentwater has a great range of things to do, boat trips on the lake itself, and a lakeside path. In addition there are a number of interesting local attractions in Keswick, such as the Castlerigg Stone Circle, the National Trust run Derwent Island House, and Threlkeld Quarry & Mining Museum. To the north-west lies the Whinlatter Forest Park, with a range of attractions including forest trails, adventure playgrounds, and an excellent cafe and visitor centre. Keswick also provides an excellent range of places to eat as well as further attractions and shops. Fells: The main fell in the area is Skiddaw, which provides a gentle but long walk with fantastic panoramic views from the top. The Borrrowdale valley also provides some excellent walks.